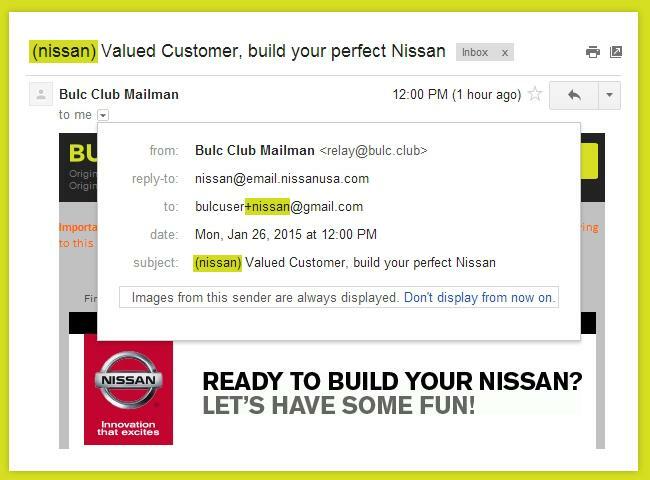 If you use Gmail or Outlook.com as your mail provider, Bulc Club automatically appends the forwarder alias to the email address to make it easier for you to do this. While Gmail doesn’t officially offer traditional aliases, they ignore everything after a plus (+) symbol in your email address. So, Bulc Club appends your forwarder alias (credit-report) to your Gmail and Outlook.com addresses automatically when it forwards the mail to you.